As we continue with our $1.5 million dollar Buy a Brick Campaign to complete phase one of our three-phase Plant a Seed Campaign, we invite you to consider how your investment will impact the next generation of learners. The generosity of the GCS community continues to exceed our expectations. Collectively we have purchased 1000 bricks and have raised 20% of our $1.5 million goal in just 3 months. So, how can you give to the Buy A Brick Campaign? 1) Tithe.ly is a fantastic online giving platform that allows every giver the option to customize their giving plan. Whether this be a weekly, monthly, or yearly gift, Tithe.ly will walk you through the steps to begin giving today. Please visit https://tithe.ly/give_new/www/#/tithely/give-one-time/58384 or text (204) 817-6871. Be sure to select “GCS- Buy A Brick Campaign”. 2) Gifts may also be given in the form of cash, cheque, debit, or credit card. Please make all cheques payable to Grace Christian School and deliver them to the school office. 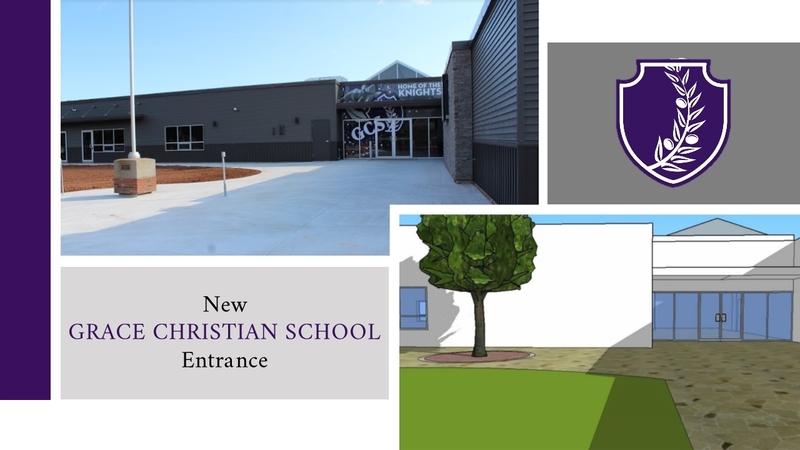 3) To schedule a meeting to discuss a partnership with Grace Christian School, please contact Mrs. Natalie MacNeill at nmacneill@gcspei.ca or by phone at (902) 628-1668. We all have a personal capacity to give. Together, let’s cement the GCS reputation as the place students go to become the leaders, thinkers, and innovators of tomorrow.